I used to keep up a blog called 'Butterflies' where I posted pretty things that gave me butterflies. You know that fluttery feeling you get in your tummy when you see something that you ♥ love ♥. Well I miss it. So I thought it would be fun to do a little bit of Butterflies on Fridays from time to time. I hope you enjoy it! And, just a warning, when I kept Butterflies up regularly, I would get cursing emails for posting cute finds making it too tempting to not buy! Sorry. These Splish Splash tea towels and pillow cover from Pottery Barn make me want to do a blog re-design incorporating a bird bath! Something stirs inside of me just looking at this sweet print. And these Potluck Bakers in my favorite colors are irresistible. From Crate & Barrel and quite reasonably priced. They are for sure going in my cart! Happy Friday dear friends. You have been so sweet to Dave + I this week with our debut of our Dear Dave + April Tuesday Series. Thank you. We will be working on a special project this weekend with that series in mind. If all goes well, there quite possibly might be a new 'piece of our heart' item for sale soon in my shop. Happy Weekend! 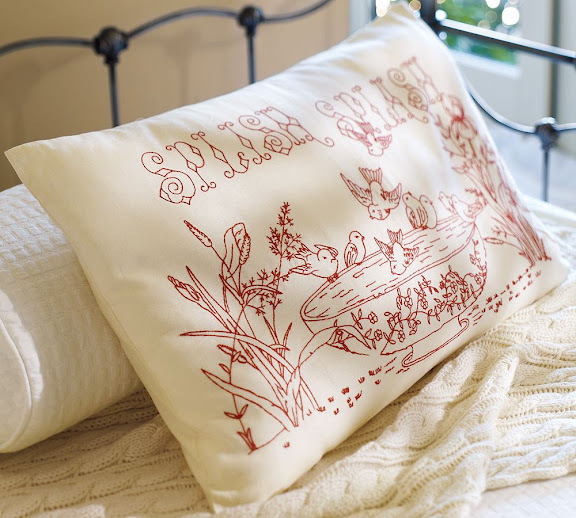 aren't those pottery barn tea towels and pillow cases too precious! hmm...i think i need to check out the bakers. 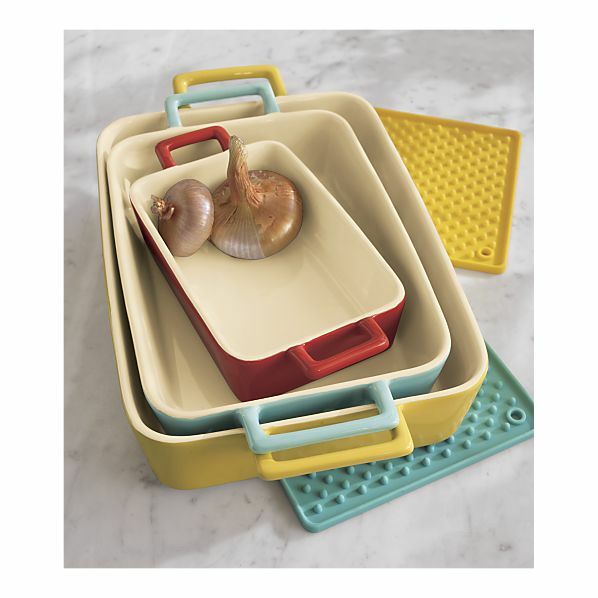 those crate and barrel dishes are AH-MA-ZING!!!! Oh dear...now I have a case of the wants. I want one of each. 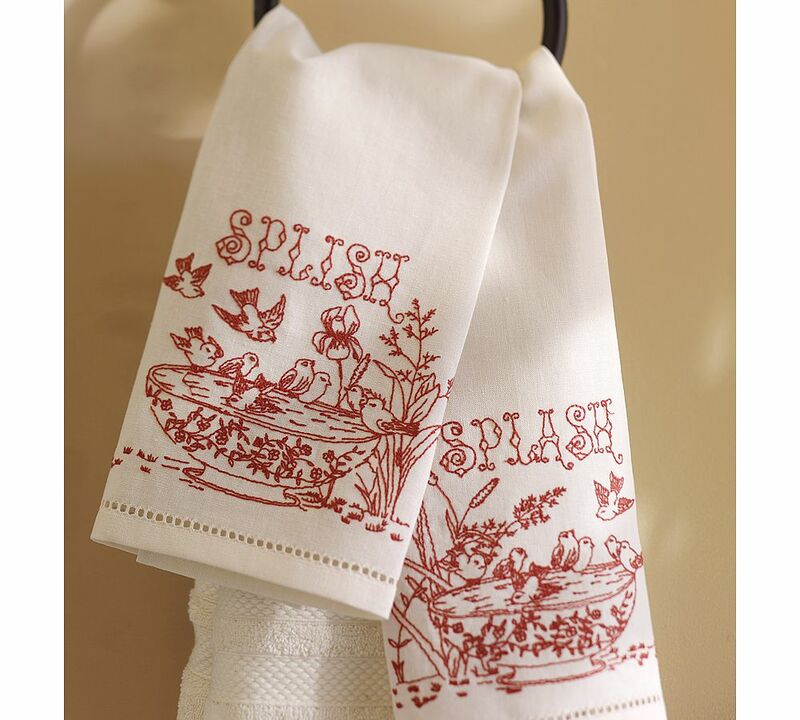 The sweet little towels remind of things my great-grandma, great-aunt and grandma would embroider. Just precious. Tomorrow I have a potluck meal at church. I wish I had one of those bakers for my dish. Have a great weekend! I saw those exact bakers in my CB catalog. Definitely going to be grabbing those as well. Swoon worthy! How funny... I was just drooling over the same things in the catalogs! I *love* my new FVK necklace - gives me butterflies! oh those potluck bakers are sooo cute!! i think i need a few of those.. i just bring my ugly plastic or white trays to potlucks right now! !